What assets will form part of your estate when you die? What should I consider when appointing an Executor? 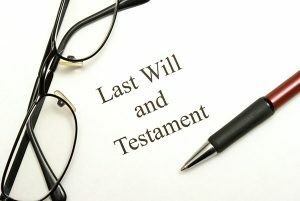 Can someone make a claim on my estate even if I have a written Will? These are the things that Jason can assist you with when you are considering preparing a written Will. In fact, preparing a written Will is only a part of the process of estate planning. Understanding exactly what assets you own (and exactly what assets you are entitled to deal with under your Will) is also a critical part of understanding how your estate might be dealt with when you die. There are also ways of dealing with your assets as set out in your Will so that the beneficiaries of your estate can have flexibility in how they deal with your assets and with how those assets and estate income might be treated for tax purposes. Making a Will is not something to be taken lightly and should be carefully considered with the right advice in regard to your current asset ownership, your dependents and the likelihood of someone challenging your estate and/or your Will. Jason can provide that advice.